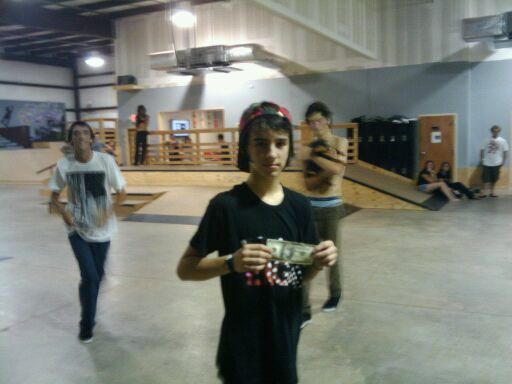 Our boy Joey p taking the loot and first place at TNT Skatepark. Joey P in FTK Mag! Joey Pellegrino busting a nice fs blunt at Bangers for bucks. Joey P killin' it at the ERGO demo. I know its been awhile since we posted on here but we got a lot of things in the works here at GK. Blog's getting touched up and restructuring our team is in the works! Keep your eyes peeled! Check out the new stuff from Joey Pellegrino. A few new photos, a short Bio, and a short video should get you all up to speed. This kid is a ripper, keep your eyes peeled! Sponsors: Given, Globe, Grindking, Darkstar Wheels, Fuel Clothing, Ninja Bearings, Progressive Skatepark. Going to be at ASR Wednesday the 9th through Saturday the 12th. See you all there! Be sure to stop by our booth #2602. NEW GK AM - NORMAN WOODS - Killin it in Hollywood!